Independence Day. One of my favorite days of the year (after my birthday and Christmas, probably number three). When it comes to July 4th, I’m a very traditional guy. I love barbecues, the Boston Pops, and fireworks (and a Red Sox win would be great too). 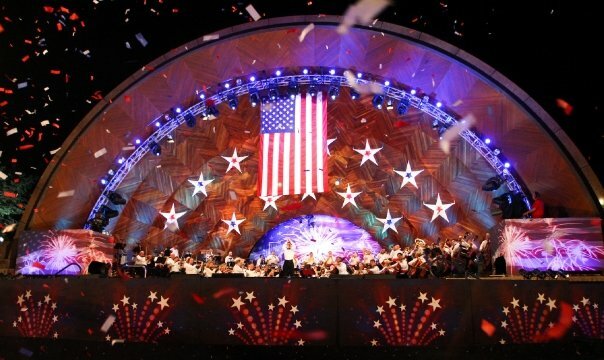 In fact, few things reliably give me chills of happiness and bring a smile to my face like that moment during the annual Pops concert at the Hatch Shell when the Pops come to the end of “Stars and Stripes Forever” and the flag unfurls and the confetti flies and the first few fireworks go off. That, to me, is the Fourth of July in a nutshell, and it doesn’t get any better than that. So, no matter where you are today, no matter how good the weather is, I hope you have a very happy Fourth of July, and that come 10:20 p.m. or so (Eastern time), you’ll be listening to the Pops do their thing and will enjoy it as much as I do.